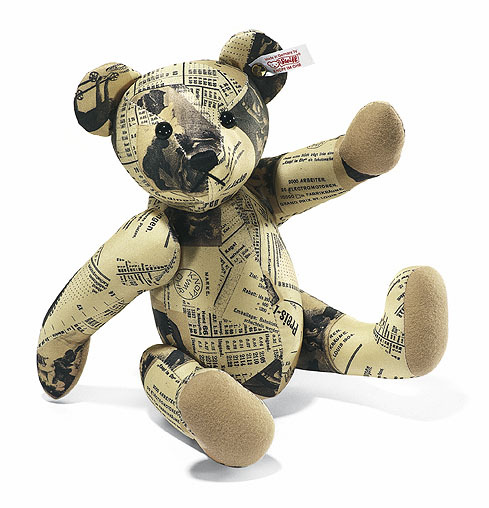 This bear is made out of cloth with a print of of the historical catalogues of Steiff. He is 30 cm. 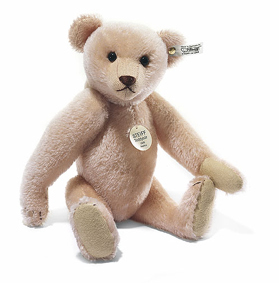 / 12" tall and limited to 2.007 pieces. 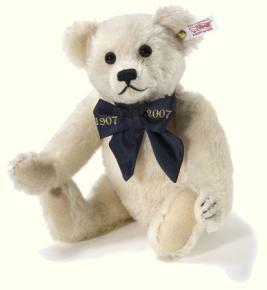 This wonderful bear is made in 2007 as the last one in the alpaca series. He is 32 cm. / 13" tall and limited to 2.007 pieces. 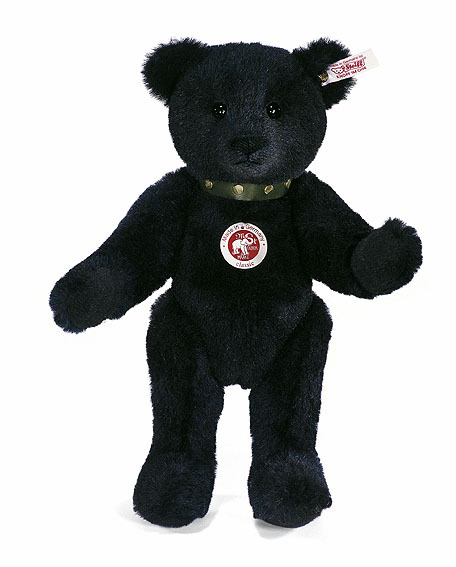 He is made of a luxurious very dark blue alpaca. 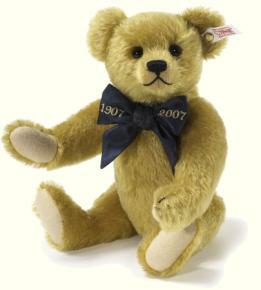 This bear is the 3rd one in de series. 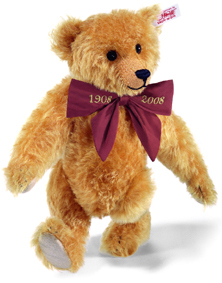 He is filled with wood shavings as his real brothers in 1908 were. 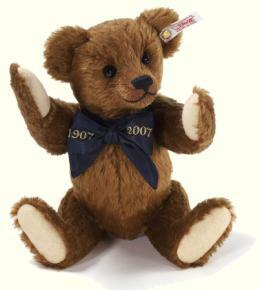 This wonderful bear is 28 cm. / 11" tall. 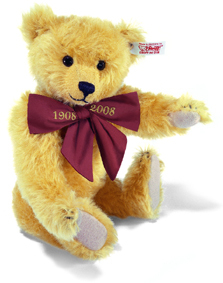 He is made to celebrate that Steiff produced a million bears in 1907. He is limited to just 3000 pieces world wide in each colour.